Support entrepreneurship, innovation, and sustainable economic growth across the globe. Your donation is a gift not only to us and our entrepreneurs; it’s a gift to those without the opportunity and resources to rise above poverty. Give a financial gift and give hope to those who need it most. 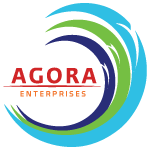 *Agora is a registered 501(c)3 organization. All donations are tax deductible. A copy of Agora’s Form 990, as filed with the Internal Revenue Service each year, is available upon request. Donors should receive an immediate confirmation email after submitting their gift. If you do not receive one, please check your spam folder, then contact Sharon Mathias at 610.724.7859 or sharon.mathias@agoraenterprises.org.